The galaxy it´s in danger, a fleet of aliens arrive to conquer everything in its path. 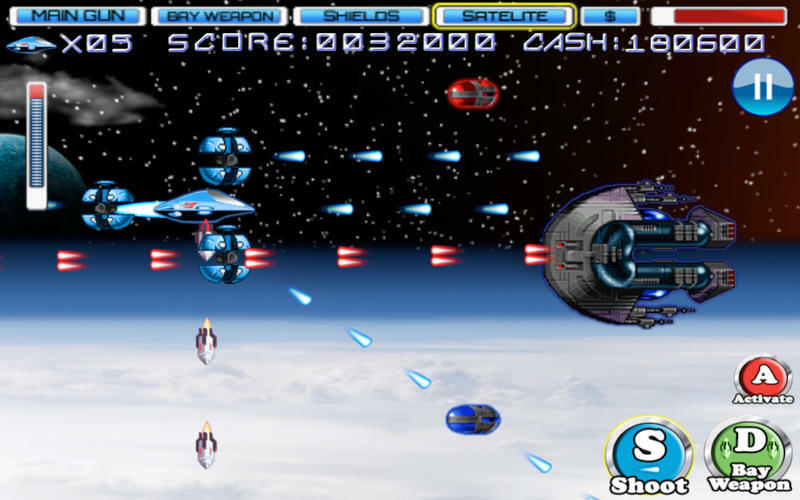 As pilot of the “Orion Fighter” you are the last hope to defeat them. Travel through the universe, 8 worlds with hordes of enemies to try to stop you. Asteroids, volcanic planets, fire rocks from the sky. Water planets, Ice Rocks that crush your ship in a second. Fight with Epic Bosses, and enjoy defeated them with your power Weapons!!! 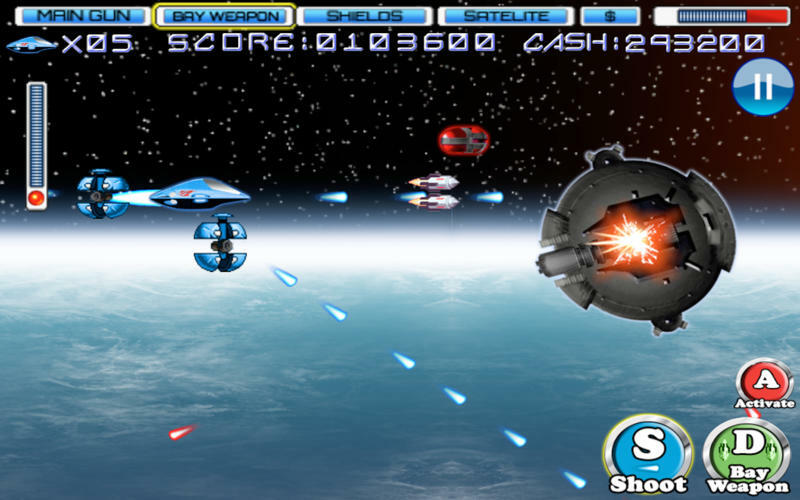 Equip your ship with weapons of plasma, laser, missiles and shields of strength to fight the aliens. The most exciting journey through the galaxy awaits. Prepare your lasers and points well, The aliens do not usually fail. We need you .. you are our last hope. * Battle in a variety of space environments From dense asteroids fields, planet surfaces and orbit planets. * Different weapons to Update your ship like lasers, plasma guns, Shields and Satelites than expand your weapon power to the maximus!! *Amazing Special Effects and sound Effects. *Tecno style music that let you in the Battlefield with incredible sound! *Shop to buy updates for your ship. *Epic Bosses, very challengings fightings! Thanks for playing Orion Fighter, if you like it, please Rate it!! Try anothter game from Janobe Studio! !